Dr. Chris Guglielmo is a native of New Jersey and attended college at West Chester University of Pennsylvania where he completed his B.S. in Cell and Molecular Biology. During college, he participated in an undergraduate research internship in the lab of Nobel Prize laureate Peter Doherty, Ph.D., at St. Jude Children’s Research Hospital, Memphis, TN. There, he studied how the immune system recognizes and kills virally infected cells. After college, Chris accepted a research technologist position at St. Jude in the lab of Elaine Tuomanen, M.D., a world recognized leader in bacterial pathogenesis research, where he developed in vitro and animal models of Streptococcus pneumoniae pathogenesis. After four years with St. Jude, Chris then began his medical career at the University of Tennessee-Memphis where he was a four-year Honor Council member and ultimately Honor Council president. A one-year surgical internship brought Dr. Guglielmo to the University of Tennessee Medical Center in Knoxville to begin his postgraduate medical training. After completing his internship, he then completed a residency in nuclear medicine and subsequently a diagnostic radiology residency, in which he served as chief resident. 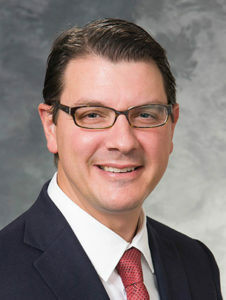 Having clinical training in both nuclear medicine and diagnostic radiology, as well as a strong background in basic science research, Dr. Guglielmo developed a passion for molecular imaging that brought him to the University of Wisconsin-Madison. Here, he furthered his training as a molecular imaging fellow with the Department of Radiology, in order to improve existing, and develop new, clinical applications for PET/CT. Dr. Guglielmo is board certified in radiology and board eligible in nuclear medicine with plans to sit for the nuclear medicine board exam in the fall of 2012. He currently practices within the Community Division of the Department of Radiology.